An important part of understanding sea-level rise is understanding thermal expansion of water. Thermal expansion accounts for about half of the measured global sea-level rise. 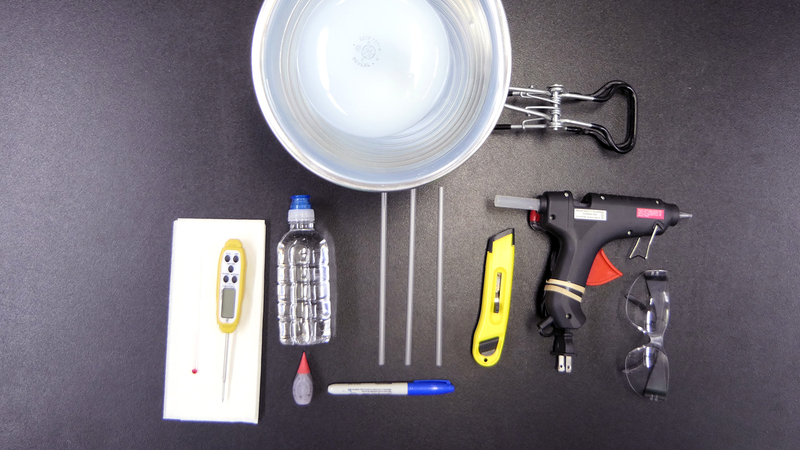 Students will build a model using everyday items to demonstrate that water expands when heat energy is added. 1 disposable plastic water bottle, with a flip-top lid, if available. Small bottles made with thicker, sturdier plastic are preferred. Safety! this activity involves the use of sharp cutting instruments and heating elements. To avoid cuts and burns, ensure the safe use of these tools by expressing and modeling appropriate use. 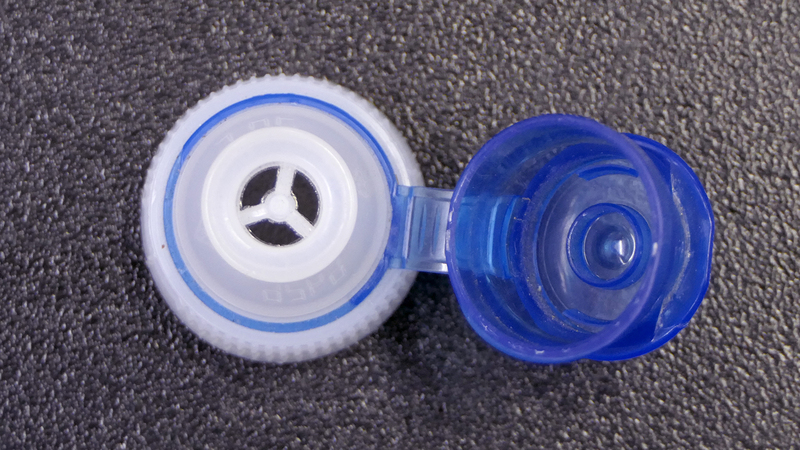 A hole will need to be cut into the lid of the water bottle for the straw to fit through. Flip-top lids have a hole, but still require some cutting to open them enough for the straw. The plastic stems inside the flip-top lid can be trimmed out with a sharp blade. A hole can be bored into regular lids with the tip of scissors, a sharp blade or a drill. 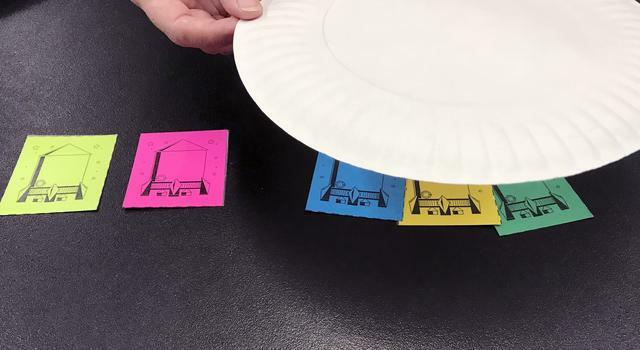 Depending on student age, skill level and available tools, you may choose to cut the holes in advance, in class, or have students cut holes on their own during the lesson. Be sure to follow all safety guidelines to protect hands, hair and eyes if using a power drill. Bottles made with thicker, sturdier plastic are preferred. 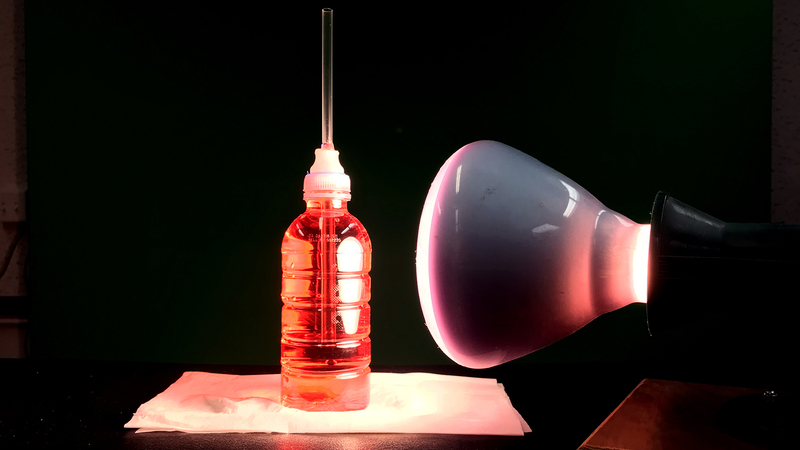 Thin plastic water bottles tend to flex more than thicker, more rigid bottles, and that flexing can alter the water level throughout observations in ways unrelated to thermal expansion. Water will spill in the construction of these models. Prepare desks or work surfaces appropriately and have towels on hand for cleanup. 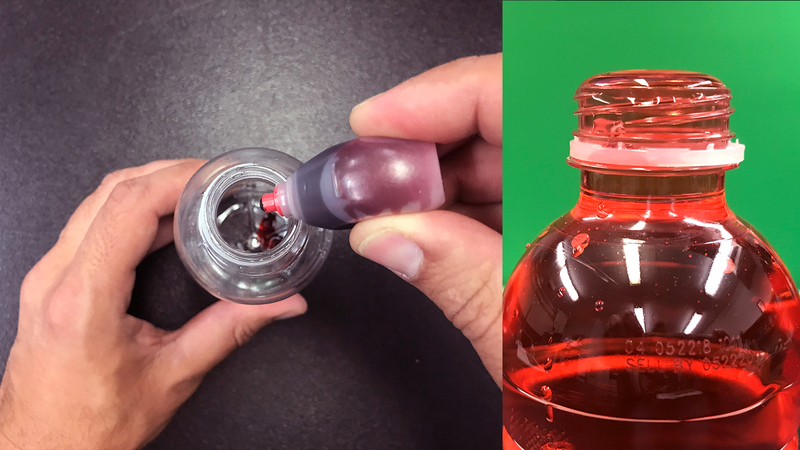 Make a small hole in the bottle or cap where a thermometer or heat probe can be inserted into the bottle and the hole sealed. The thermometer should not interfere with the position of the straw as described at the end of Step 3. Different heat sources apply heat to the water with different intensities and larger quantities of water can absorb greater amounts of heat, meaning the time it takes to notice a change in temperature and water height may vary. Consider making and testing one of these models in advance to get an idea of how long it may take. This will help you to determine how long students should wait in between measurements. Record how long it takes for water to rise 0.5 to 1.0 cm and use that time as an approximate interval for Step 7. For a more detailed background on sea-level rise and a related activity, see Graphing Sea Level Trends. Global sea level has varied substantially throughout history, especially in response to the ice ages. In recent history, starting around 7,000 years ago, sea level became quite steady, but over the last century, it’s been rising. Global tide measurements from tide gauges suggest that global sea level rose approximately 3.4 millimeters (0.13 inches) per year over the past century. Sea level is measured by monitoring stations on the shoreline and at sea. 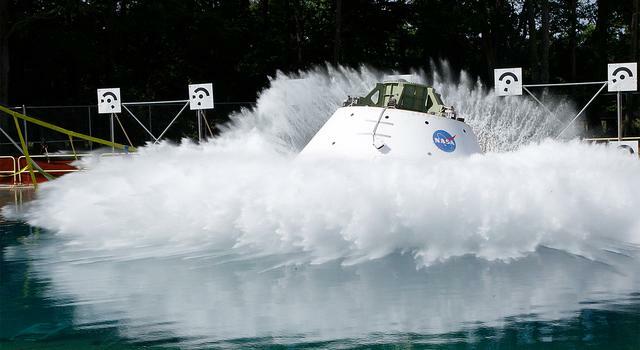 Satellites such as NASA’s JASON-3 satellite also collect data on sea level. There are over 120 sea level monitoring stations in the U.S. and 240 additional stations worldwide. By looking at data from these stations over periods of 30 years or more, trends can be identified at individual stations and compared with other stations. This gives scientists useful information about local conditions. Those data can also be used to calculate the global, average sea level and study it over time, giving scientists a picture of what’s happening to the ocean on a planet-wide scale. Sea level has been measured at some stations for more than a century, providing sea level data going back to 1880. The total amount of water on Earth isn't increasing, but the volume of liquid that fills the ocean basins is growing, raising the elevation of the sea's surface and spilling ocean water onto low-lying land. The extra volume of seawater comes from two places: Clearly, the melting of ice sheets and glaciers on land adds water to the sea. The second, and less obvious cause for rising sea level, has to do with water expanding as it warms, so the more heat energy the ocean absorbs, the more space its water requires. Water has the ability to absorb a lot of heat, a property known as heat capacity. As a result, when air temperature increases, so does ocean temperature. 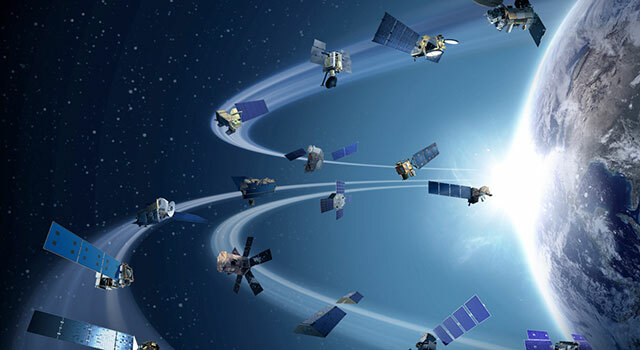 We see this playing out in the data returned from satellites, weather stations, weather balloons, ships and buoys. They show that the temperature of the water at the ocean’s surface is rising along with temperatures at the lowest layer of the atmosphere and the average air temperatures at the surface of land and water. Global sea level is currently rising as a result of both ocean thermal expansion and glacier melt, with each accounting for about half of the observed sea-level rise and each caused by recent increases in global mean temperature. From 1961-2003, sea level rose due to thermal expansion and glacier melt (from small glaciers, ice caps and ice sheets) at a rate of 1.11 millimeters (0.04 inches) per year. Between 1993 and 2003, the contribution to sea level rise increased for both sources to 2.79 millimeters (0.11 inches) per year. So not only is sea level rising, it is rising at a faster rate than in the past. Why is this happening? Scientists have found that since the beginning of the Industrial Revolution, the concentration of carbon dioxide in the atmosphere has increased by 39 percent. A majority of CO2 is created by energy production from fossil fuels that we use to support our lifestyle. Some of this extra carbon dioxide has been absorbed by oceans, soils and trees, but the rest will stay in the atmosphere for thousands of years. This is significant for our climate because carbon dioxide is the most important gas for controlling Earth's atmospheric temperature. Carbon dioxide and other atmospheric gases control Earth's temperature through the greenhouse effect. Without a greenhouse effect, the temperature of Earth would be much colder than it is now, but an increase in CO2 traps heat in the atmosphere, leading to the increases in temperature that have been recorded. Discuss climate change and sea-level rise with students. Ask students to identify causes of sea-level rise. If students identify melting ice as a cause of sea-level rise, ask them which type of ice, land ice or sea ice, contributes more to sea-level rise. Consider demonstrating the contribution to sea-level rise by land ice and sea ice using the What’s Causing Sea-Level Rise? Land Ice Vs. Sea Ice lesson in conjunction with this activity. If students do not mention thermal expansion, explain that in addition to ice melt, there is another phenomenon that contributes to sea-level rise. The following activity will demonstrate that phenomenon. Depending on students’ age and ability, have them cut a straw-size hole in the cap of their water bottle. 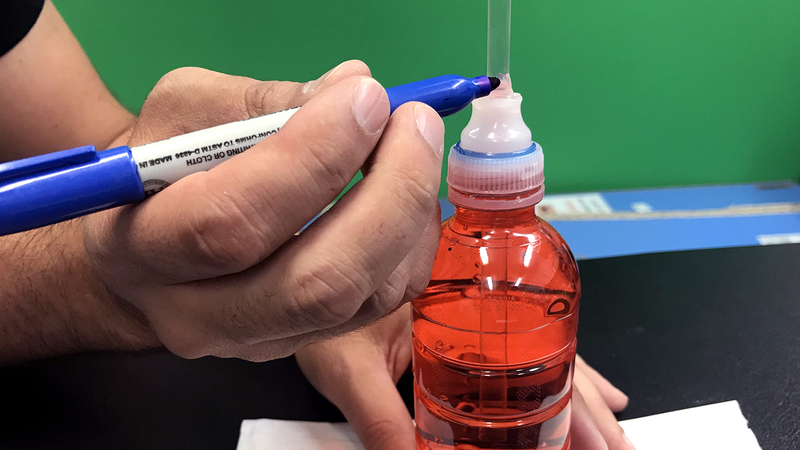 If done while the cap is still attached to the bottle, students will have more area to grab and can keep their fingers farther from the cutting device. Have students insert the straw into the hole. The straw should extend down approximately 2-3 inches into the bottle when the cap is on. 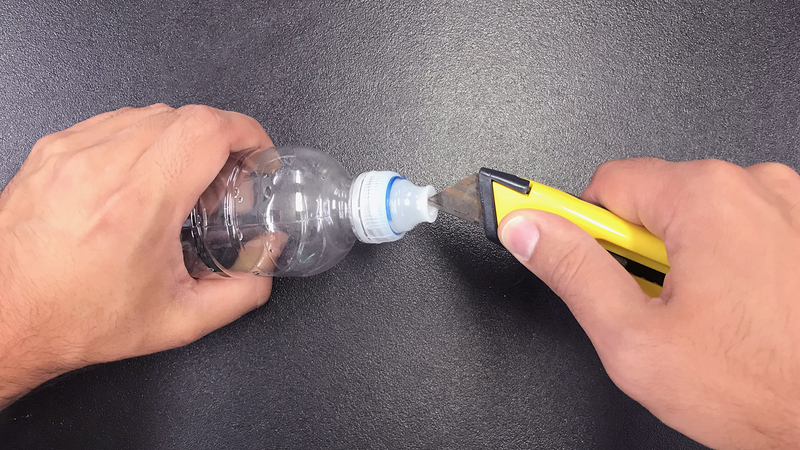 (During this step, students can keep the bottle and cap separate.) Using hot glue, putty or another sealant, close any gaps around the straw. Students should avoid skin contact with the glue and be sure to keep the threads of the cap free of glue, putty or sealant. The bottle won’t close properly if the threads are not clean. 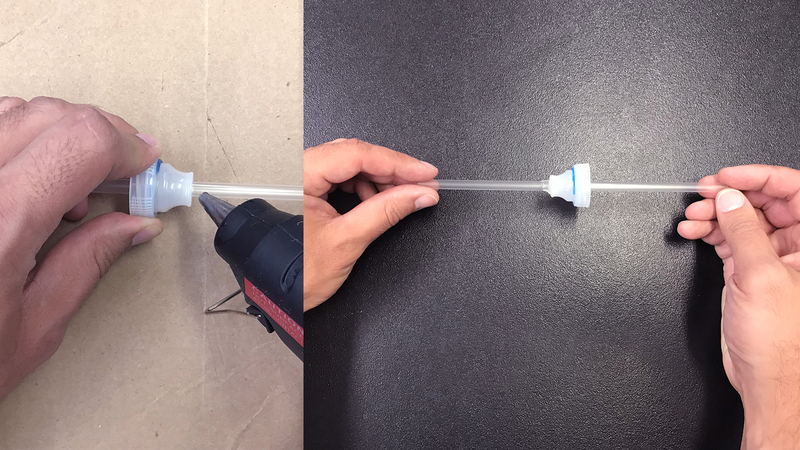 As the glue dries, students should be sure the straw is as close to perpendicular to the top of the lid as possible. 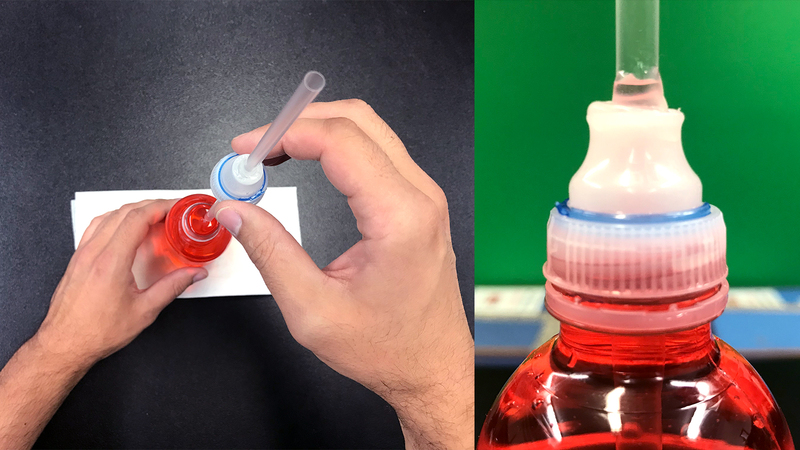 Have students add several drops of food coloring to the water bottle, fill the bottle with water completely to the rim, then top with the straw and cap assembly and tighten. There may be some overflow when the cap is attached. This is ok. The water in the straw should be above the cap, but low enough that when it rises, measurements can be made that indicate how much the water has risen. Students need to mark the straw to indicate the base, or zero, level of the water. For each measurement, they should align the zero mark on the ruler to this mark. 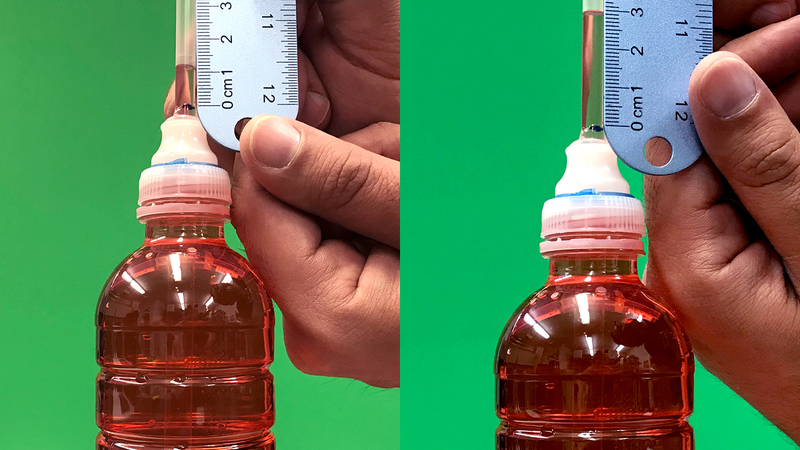 Because moving and squeezing the bottle can change its shape, internal volume and water level, once the line is marked, avoid moving or handling the bottle while the water is warming. Using water bottles with thicker plastic will help minimize the changes to the water level that can occur when the bottle is moved. 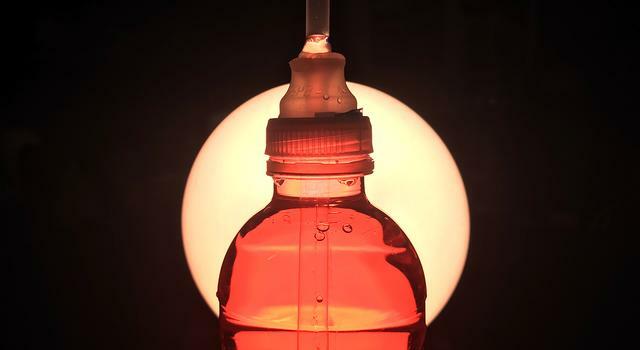 Have students direct a heat source at the bottle or place the bottle in direct sunlight. Because some heat sources apply heat less intensely to the water, the time it takes to notice a change in temperature and water height may vary. Consider making and testing one of these models in advance to get an idea of how long it may take. 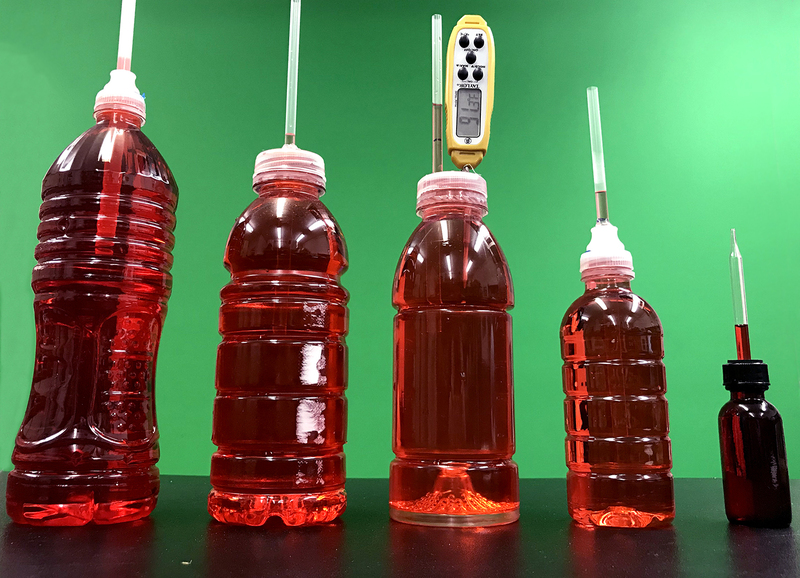 At consistent intervals, students should measure and record the water level compared with the zero mark drawn on the straw, in millimeters, and make note of what’s happening. If using thermometers, students should also record the temperature at these intervals. See Management for determining intervals. Have students graph the height measurement on paper or using spreadsheet software. If using thermometers, students should graph those data as well. Ask students to describe what they observed in the straw and what they notice on their graph. Students should notice the water level is rising as heat is added to the water. Explain to students that this phenomenon, mentioned in Step 1, is known as thermal expansion. What happened to the water level as heat energy was added? Answer: The water level rose as the temperature increased. Explain why the water level in the straw changed over time. What caused this? Answer: Water increases in volume when heated. The added energy that came in the form of heat caused the water molecules to move around more. As they moved and bounced off of each other, they took up more space, thereby increasing in volume. 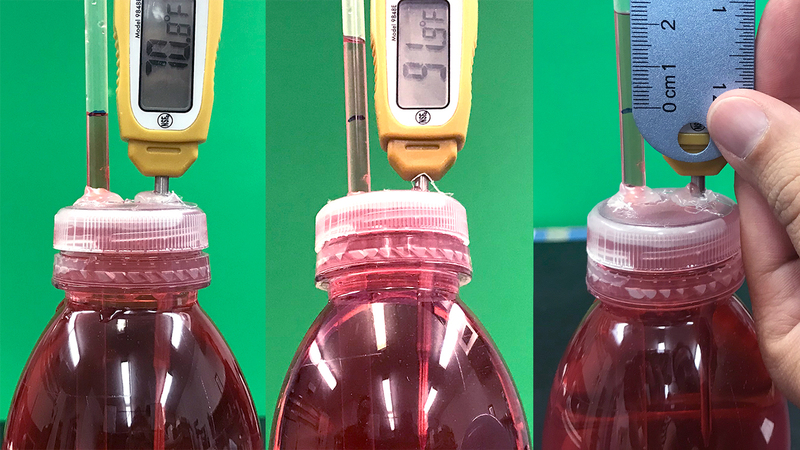 As the temperature of the water in the bottle increased, the volume of water in the bottle increased (expanded), which caused the water level in the straw to rise. This process is called thermal expansion. 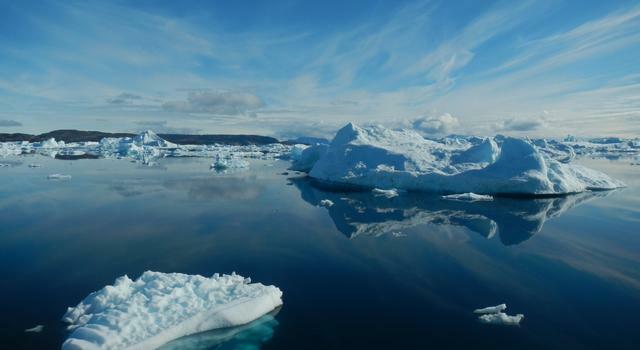 Melting ice is contributing to the rise of sea level. As land ice melts, it runs into the ocean and increases the amount of water in ocean basins. Sea-ice melt does not contribute to sea-level rise, as the melted ice fills the space previously occupied by the frozen sea ice. The ocean’s heat capacity allows it to absorb a lot of energy in the form of heat as land and air temperatures rise. When water is warmed, it expands and takes up more space, a phenomenon known as thermal expansion. Thermal expansion increases the volume that ocean water takes up, leading to sea-level rise. Students learn the difference between land ice and sea ice and make a model to see how the melting of each impacts global sea level. Check the vital signs of our planet and get the latest updates from missions and scientists monitoring our changing Earth.